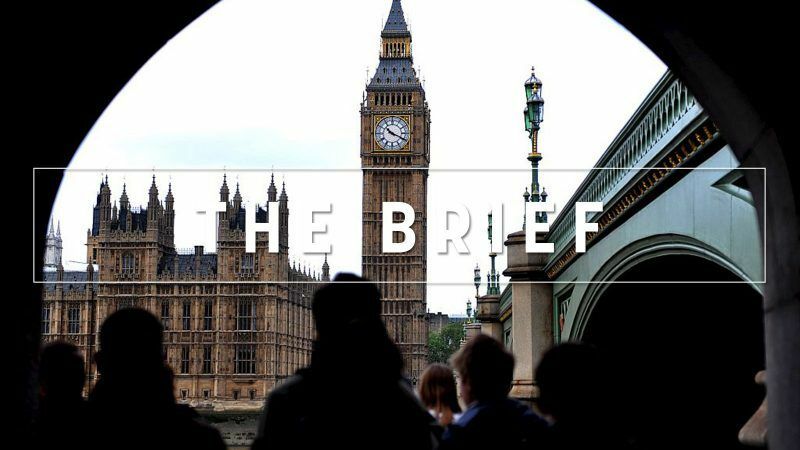 The Brief, powered by EUSALT – A harbinger of Brexit defeats to come? One of the reasons why detail on the UK’s strategy on the Brexit negotiations has been so elusive lies in Theresa May’s tactic of permanent obfuscation, and of concentrating information in the hands of a handful of her very closest advisors. With a Conservative government (and parliament) as divided as hers, it is an understandable strategy. The Brexit deal – if it emerges in the next few weeks – is going to upset a lot of people and be very hard to sell both inside and outside Parliament. But maintaining near-complete secrecy ad infinitum was always going to be untenable, and that was exposed on Tuesday (13 November). The opposition wants May to publish the legal advice she has received on Brexit, particularly to work out exactly what the legal situation is with the various options to the Northern Ireland border question. On Tuesday afternoon, the Democratic Unionist Party, a Northern Irish party which props up May’s administration, signalled that it would vote with the Labour party to demand that the government publishes its lawyers’ briefs. Seeing that a defeat was coming, May’s de facto deputy, Justice Minister David Lidington, offered a climb down. The government would publish its legal advice after a withdrawal agreement is ready to be agreed by MPs. A small but significant win for MPs, since there is little precedent of governmental legal advice being published before a vote. Lidington, who served as David Cameron’s Europe Minister during his boss’s ill-fated attempts to renegotiate the UK’s membership terms, has a reputation for always sounding calm and sensible, a virtue that is currently in very short supply in the UK. This morning, he again insisted that a withdrawal deal could be struck within “the next 48 hours”, although few in Westminster are expecting to have to make the trip to Brussels for the long-awaited ‘extraordinary’ Brexit summit planned for 21 November. While the 60 Conservative MPs in European Research Group have tended to be viewed as the main political hurdle a Brexit deal must clear, the reality is that May faces trouble on all sides. Last Friday’s resignation of Jo Johnson (the less famous Johnson brother, but a far more talented minister than Boris), underscored the fact that a number of ‘Remain’ supporting ministers will probably vote against a prime ministerial fudge. Johnson Junior says that the Brexit offered at the June 2016 referendum is unobtainable and that another referendum should be held. Add to that mix an increasingly assertive House of Commons, which was advised by its own legal expert (the House clerk) last week that MPs could reject May’s Brexit deal and, politically if not legally, force her to go back to Brussels and give them a new text to vote on, and it is hard not to conclude that Tuesday’s legal climb-down was a harbinger of Brexit defeats to come. Fragmentation of the left instead of a united front? Ex-presidential hopeful Benoît Hamon lashed out against the political tactics of Jean-Luc Mélenchon, as well as against President Emmanuel Macron. France and Germany turned up the heat on the EU digital tax plans as they rallied their support behind the proposal that is meant to be a done deal by December. It was billed as a “Davos for democracy”. But will the newly launched Paris Peace Forum, the latest addition to the international conference agenda, have an impact? NATO chief Jens Stoltenberg warned Europe against undermining transatlantic ties, following a defence spat between US President Trump and Macron. The ECB will conduct a comprehensive assessment of six Bulgarian banks as a step towards possible Banking Union membership. The Commission published its regular report on the rule of law in Bulgaria and Romania, commending Sofia for progress made and lambasting Bucharest for backtracking. Spain has presented ambitious plans for its energy and climate future, targeting 100% renewable power and a ban on fracking and fossil fuel exploration. It comes just two weeks before the Commission’s own long-term strategy is due to be unleashed. The Facility for Refugees in Turkey “swiftly” addressed people’s needs, stated a report by the European Court of Auditors, but stressed there were some irregularities in tracking the EU funds. Croatia’s ombudswoman will report her country’s treatment of migrants to the EU after her request for access to police records was refused. Italy’s ongoing debate about vaccinations and anti-jab rhetoric is “verging on the absurd” according to one of the EU’s top health officials. Expect film crews at the Old Hack and around Place Lux soon, after infamous documentary maker Louis Theroux said he would be interested in making something about former UKIP leader and current radio DJ Nigel Farage. 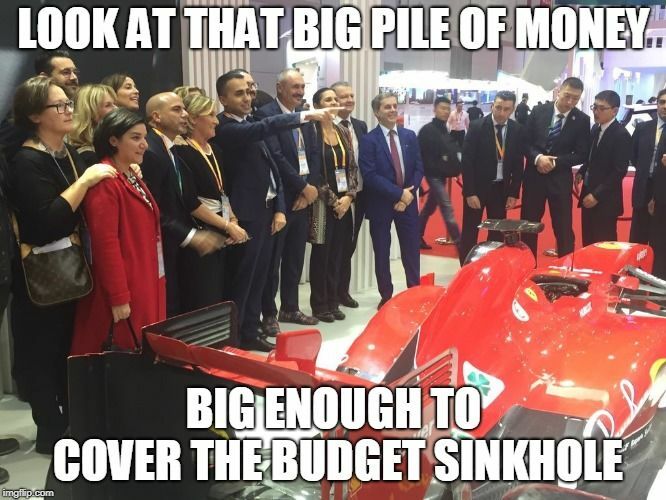 We asked you before the hectic EPP madness in Helsinki last week what Luigi Di Maio was pointing at during a trip to China. Here’s our winner, courtesy of Lars Ole Løcke. Tune back soon for more! The Strasbourg plenary session continues. MEPs will vote on CO2 reduction rules for heavy vehicles, the first attempt to legislate that particular sector. Check the full agenda here.